Connector for video expansions that are in the final phase of the project: image digitising, genlock, connection of multiple VDPs to work with up to 16 million colours (24 bits), etc. I do not know if Ademir will ever make those devices, since people did not seem to want them, as far as I know. But it makes it a lot easier for Ademir to add the new ADVRAM board he developed. The Turbo mode can be selected using the Turbo switch or via basic, using: turbo on (activates turbo mode), turbo off (deactivates turbo mode) and turbo (toggles the state). In the golden years of MSX, Ademir was known in Brazil by his great products that sold thousands of units each, like Megaram and his MSX2/2+ add-on boards to Brazilian MSX1 computers. Very useful, because MSX2 was never released in Brazil. Being an old fan of Ademir’s products, when I heard about his MSX2+ Turbo motherboard, I did not think twice and I started to search for someone willing to sell it. I had to do this because Ademir did not have one for sale at that time; unfortunately he cannot produce many boards and wait for people to buy it. So it was not easy to find one, because those who have one will not sell it. But Leonard Oliveira got one and sold it to MSX Brazilian team (MBT), and they sold it to me in a MSX Expert plus case. You can learn more about Ademir’s products at . 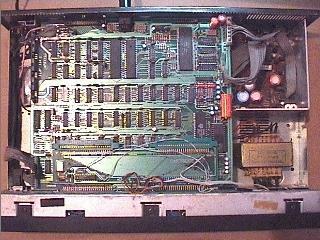 The MSX Ciel is made to be installed in an MSX Expert case. The Expert is an old MSX1 made by Gradiente 15 years ago in Brazil. 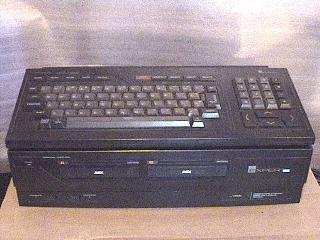 It was the most popular MSX in Brazil. As a matter of fact, there were only two MSX models made in Brazil: the Expert by Gradiente and the Hotbit by Sharp. When Sharp stopped with the Hotbit, the Expert became the only MSX machine being sold here in Brazil until the production was stopped in 1991. This makes it a natural choice for Ademir’s motherboard. You can of course put it in a pc case, for example, but it will not be as easy as using an Expert case. My MSX Ciel mounted in a MSX Expert Plus case. No soldering is required to install it, unless you want to use the external headphone connector. After taking away the old motherboard it took me only 10 minutes to finish the installation and turn it on. As you can see, it is really easy to mount. One of the most interesting things about buying a Ciel motherboard — as a matter of fact, any product developed by Ademir — is that you probably will not find another motherboard that is exactly the same as yours, unless you specifically want it. The reason is simple: Ademir is always willing to hear your weirdest desires. So, everyone who has a Ciel motherboard, has it with his own configuration. That is one of the main advantages of buying products from Ademir, besides the quality, of course. For example, my good friend Daniel Caetano has a pc power connector in his motherboard, so instead of using the power supply of the Expert, he replaced it with a 300 W pc power supply. He also has a 2 gigabyte hard disk and a 3.5” drive inside his computer, using the 2 internal slots. Vinicius Beltrao and Luciano Sturaro have the same configuration. Daniel even has a Sega Master System 3D glasses set connected to the VDP in order to generate 3D images. The Ciel motherboard, taken from Ademir Carchano’s site. My Ciel does not have these features, but it has switches that allow me to turn on/off the slots without having to unplug the cartridges and a switch that allows me to plug 2 cartridges in the same slot. I need this to use my Megaram cartridge and my SCC at the same time, in order to run the Konami games with SCC sound, without the need of cracked versions. For this I use ExecROM from Adriano Cunha to load the megarom files used in MSX emulators in Megaram. My board also uses AA batteries instead of the NiCd battery, mainly because it is easy for me to change them. Other people have other things in their Ciel computers. The bottom line is, Ademir will modify the motherboard as you wish with little or no cost. You can see below some photos of these programs running. 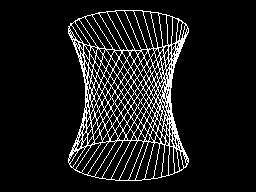 I tried only these three basic programs because I thought it would be a good way to measure the speed of the computer; if you want me to try any other software to measure the speed for you, just send it to me and I will run it on my computer. 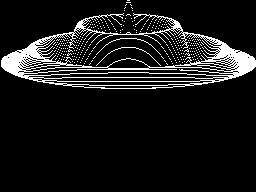 The photos were taken using BrMSX, a great MSX emulator written by Ricardo Bittencourt. You can download the programs that I used here . Unfortunately Mauricio never handed in the finished version of his article; we apologise for that. However, the description he gives of the system was worth publishing.